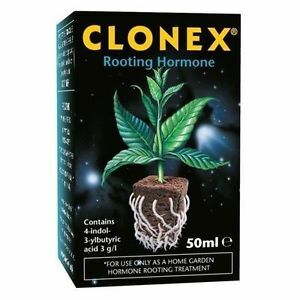 Clonex Rooting Gel contains rooting hormone, anti-fungal agent, nutrients and trace elements to promote strong root growth in freshly taken cuttings. Clonex Rooting Gel contains rooting hormone, anti-fungal agent, nutrient and trace elements. When the end of a freshly taken cutting is dipped into the Gel it seals the cut-end and the rooting hormone encourages root-shoots to form. An anti-fungal agent helps to keep stem-rot at bay during this delicate time and a small amount of nutrient and trace elements help feed the rooting process. Used as part of your propagation process, Clonex Rooting Gel will significantly increase your success rate and reduce the time it takes for cuttings to take root. Comprehensive instructions about how to take cuttings can be found in various places on the internet. Here is a short guide: Place a tray of your favourite moistened rooting cubes into the bottom tray of a propagator. Choose healthy shoots with thick stems from which to take your cuttings and make the last cut with a sharp, sterile scalpel. Dip the cut end into Clonex Rooting Gel and then place the end of the cutting into one of the rooting plugs. When you have finished taking your cuttings, put the lid on your propagator and move to a mild environment with propagation lighting. 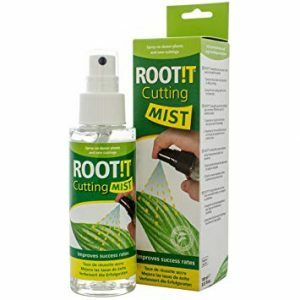 Keep the rooting plugs moist and mist your cuttings 2-3 times a day. After a few days, gradually open up the ventilation slots on the lid of your propagator to reduce humidity. When your cuttings have rooted through the plugs, they can then be placed in soil or a hydroponics system to grow.